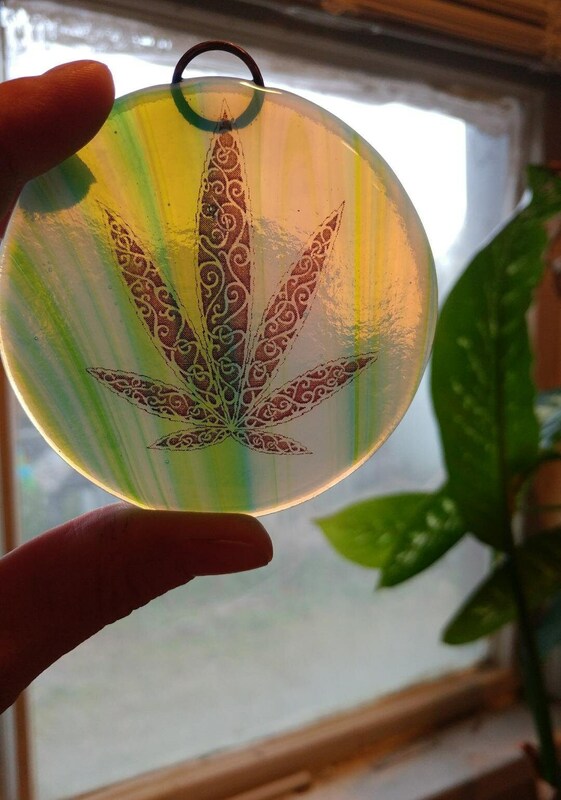 Marijuana Leaf Fused Glass Round. 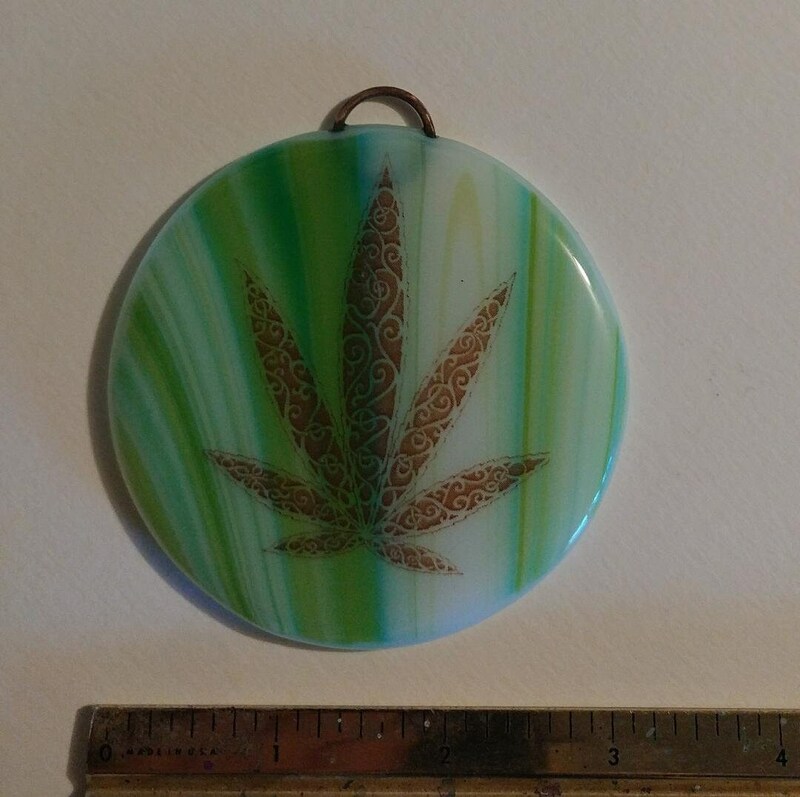 Lovely fused glass round depicting a marijuana leaf. The glass isn't opaque and really lets the sun through the colored glass. The stylistic leaf is taken from art that was created when we first began our brand. 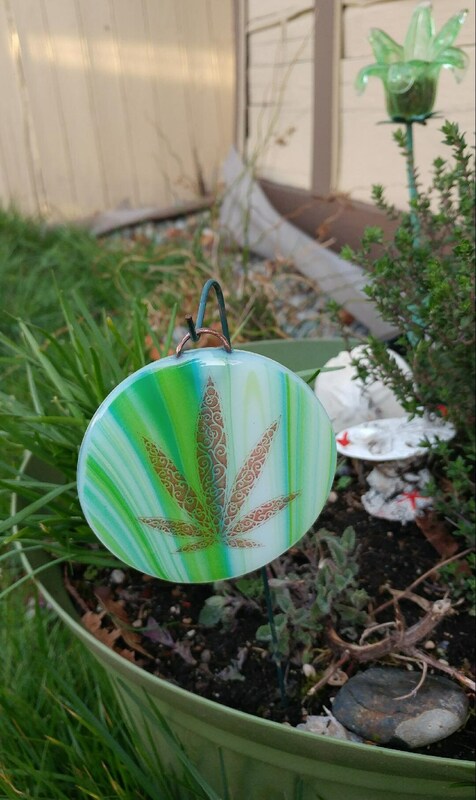 No longer in print but making an appearance on some of our fused glass. The image is printed with toner ink then sandwiched between tow similar pieces of glass. The copper ring is also put in place at this time. During the firing process in the kiln, the paper burns away leaving the image. The glass "fuses" and also encases the copper ring. hot enough to meld, but not hot enough to melt!